Looking for a shirt that you can wear from season to season? 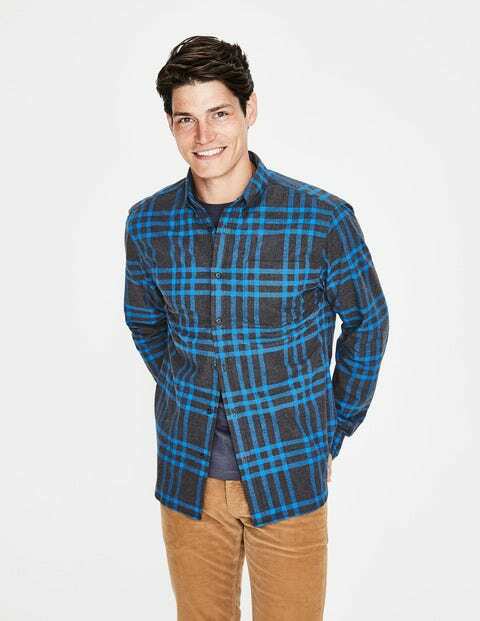 You've found it in this lightweight-yet-cosy style, in pure cotton flannel. It's brimming with special detailing including a button on the back of the collar, a handy hanger loop and contrasting herringbone around the neck on the inside. A box pleat creates a relaxed fit, while mock horn buttons, subtle stitching and the button-down collar give it a stylish finish.